Willie L. Scott started his career on October 10,1938, by enlisting in Battery A, 131st FA Battalion, 36th Infantry Division, located at Plainview, Texas. He was mobilized when the 36th Division was called to federal service on November 25, 1940. He left the 36th Division at Camp Blanding, Florida and reported to OCS #33 at Fort Sill, Oklahoma. He graduated and was commissioned a second lieutenant on October 8, 1942. His first assignment was with the 174th FA Battalion located at Camp Bowie, Texas. He was given command of Battery B, 174th FA Battalion on April 1, 1943. He commanded his battery for 27 months, taking it overseas to the European Theater and commanded it during five major campaigns. In 1947, he accepted a RA commission and was assigned to the 193d Engineer Construction Battalion on Guam. He served a year on Guam and resigned his commission and returned to Hardin-Simmons University. Major General Scott resumed his career with the National Guard when he joined the 131st FA Battalion, located in Abilene, Texas. He was assigned as commanding officer of Battery A, the unit that he joined as a private in 1938. He remained at Hardin-Simmons as a member of the athletic coaching staff from 1950 until he resigned to assume the State Air Defense position in 1962. General Scott, then colonel, was ordered to extended active duty on October 21, 1966, as air defense officer serving with the U.S. Army Defense Command in Colorado Springs, Colorado. General Scott was appointed as Assistant Adjutant General (Army) of Texas on January 19, 1971. He was released from active duty on March 11, 1971 to accept the new assignment. He was appointed brigadier general, Adjutant General's Corps and confirmed by the U.S. Senate on March 12, 1971. 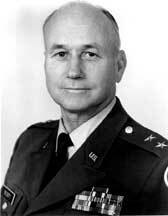 General Scott was appointed Adjutant General of Texas on January 17, 1979. He was appointed major general, Adjutant General's Corps on May 2, 1979, and confirmed by the U.S. Senate to rank from that date. He retired as adjutant general on February 21, 1985.